Full Bench of Pakistani Supreme Court has decreed Nawaz Sharif incapable of keeping the trust of people and hence disqualified him to be the Prime Minister of Pakistan. He has been disqualified even as member of Pakistan National Assembly. According to the constitution of Pakistan either a reference should have been made to both Houses of Parliament leading to no-confidence. This was not done and instead the case was processed by constituting a Joint Investigation Team (JIT) to submit its finding to the Supreme Court. JIT comprised three members, two of who were military officers. Army knew that a reference to the Parliament would not succeed and as such it took a detour via Supreme Court and the JIT. A close study of the record of Pakistan Supreme Court’s decrees will show that instead of protecting civil society and democratic institutions, it has overtly and covertly supported undemocratic inclination. During the regime of General Ayub Khan, the Pakistani Supreme Court Chief Justice Munir Khan reflecting on a reference made by Miss Fatima Jinnah decreed that Ayub Khan had dispensed with the Constitution under the law of necessity. During the regime of Ziau’l-Haq and Musharraf, the same Supreme Court of Pakistan decreed the dismissal of elected governments and the provisions of the 1973 Constitution under the precisely same pretext viz. L:aw of Necessity. The 1973 Constitution, it was clearly said that anybody attempting to remove the government would be given death punishment. One of the judges of the Supreme Court of Pakistan that had pronounced the execution of Z.A. Bhutto was Justice Nasim Hassan Shah, who later on became the Chief Justice of the Supreme Court. After his retirement he said in a televised interview that in the Z.A Bhutto case they (Supreme Court) were under pressure and the judgment was delivered under pressure. There was resentment in Pakistan on the statement of Justice Nasim Hassan Shah and a senior Pakistani advocate had even filed a case of contempt of court in the Supreme Court. The case could not be processed because Justice Nasim Hassan Shah expired during that time. Pakistan has seen four martial laws. General Ayub Khan stay put for ten years and was removed owing to public pressure. He handed power to General Yahya Khan, who ran the government for three and a half years during which he saw separation of Bangladesh from Pakistan. He resigned. Then there happened the martial law administration of General Ziau’l Huq. He held power for ten years but was killed in an air crash. He had ordered execution of an elected Prime Minister. Then in the fourth martial law engineered by General Pervez Musharraf lasted ten years. It has to be noted whenever Pakistan was brought under martial law, wars with India and Afghanistan were fought. In 1965, 1971 and 1999 (Kargil) there were wars with India. In 1979, there was war with Afghanistan. All these wars took place during the rule of dictators in Pakistan. Let us examine the fate of Prime Ministers of Pakistan. 1. Liaqat Ali remained Prime Minister for four years and then was assassinated. 2. Khawja Nazimu’d-Din remained PM for two years and then was removed. 3. Muhammad Ali Bogra had two stints of one year each as Prime Minister and both times he was removed from office. 4. Chowdhury Muhammd Ali remained PM for one year and was shown the door. 5. Hussain Shaheed Suharwardy remained PM for one year and was removed. 6. Ismail Ahmd Chundrigar remained PM for two years and was removed. 7. Feroz Khan Noon remained PM for ten months and was removed. 8. Nurul Amin remained Prime Minister for 13 days and was removed. 9. Zulfikar Ali Bhutto had first stint as PM for three years and seven months. His second stint continued for four months, then was removed and executed. 10. Muhammd Khan Junejo remained PM for two years and six months and was removed. 11. Benazir Bhutto became PM twice for two and half years of each term and was martyred. 12. Mian Nawaz Sharif remained PM for two terms with two and a half years of each term at the end of which he was removed and exiled. On return, he won the election and became Prime Minister but has now been removed after just more than three years. 13. Mir Zafar Jamali remained PM for a year and 9 months and was removed. 14. Showkat Aziz remained Prime Minster for three years. He proceeded abroad and was disallowed to return to Pakistan. 15. Yusuf Reza Gilliani remained PM for four years, was removed and is now facing cases in the courts. His son was kidnapped by Taliban. 16. Raja Peveiz Ashraf remained PM for eight months was removed and is now facing court cases. 17. Nawaz Sharif was inducted as PM for the third time but has been removed after more than three years through a court decree. This sordid story clearly reveals that actual power remains concentrated in the hands of Pakistan army and civil establishment mostly dominated by retired army officers. Whenever the need they hook up the judiciary also. The record of the judiciary reveals its story forcefully. We believe that the right of removing an elected Prime Minister rests with the masses of the people through the instrumentality of elections or through a reference to the Parliament the elected house of law makers. Political opponents of Nawaz Sharif, who are glorifying their success in getting Nawaz Sharif removed through a court order should bring to their mind the fate of the ex-Prime Ministers of Pakistan, 17 in all and listed above. We regret that democratic institutions in Pakistan have been paralyzed. All this notwithstanding, we regret to note very antagonistic stance of Perez Musharrf the former Army Chief and dictator of Pakistan who has been repeatedly saying that Nawaz Sharif should be barred from leaving the country and a case should be filed against him. This is the same Pervez Musharraf who left the country on the pretext olf medical treatment and did not return despite the warrants by the government. What right has he to demand imposition of ban on Nawaz Sharif when Nawaz Sharif was an elected Prime Minister and he had grabbed power through the barrel of the tank. We also regret the role of Peoples Party in the case of removal of Nawaz Sharif. This party has forgotten the treatment meted out to it in the past by the army and the courts. It can be repeated at any time in the future. How long will be the justice for unjustified blood? How long ulcer of corruption will continue to bite? How long will our talent continue to moan in the hands of nepotism? How long would widows of martyrs and orphans crave due to adding salt to the injuries by so-called leaders? How long exploitation of innocent people in the name of religion, annexed with Pakistan and justice will take place? How long intellectuals, scholar, teachers and journalists will remain silent? People who fear death, will they never die? Think over it that what we are giving our next generation except lie, deceive and bribe? After this introduction, the real subject is “Tragedy of Hurriyat”. When Hurriyat came into being, besides political parties, business groups and religious parties associated society joined as a unit of Hurriyat. In this way Hurriyat got established by some political parties with strong platform of basic principles but instead of a strong platform it became a hollow square. Every party tried to run Hurriyat as per their wishes. In this way Hurriyat could not flourish as united and strong organisation, besides tug of war inside Hurriyat among different groups continued. In this way Hurriyat got split in many groups. Sometime there were two groups sometimes three. Guns were also used against Mirwaiz group and uncle of Martyr Mirwaiz Moulvi Mohd Farooq was killed in a mosque. Islamia School was burnt. In spite of this if Hurriyat continues to exist then there are three basic reasons. 1. Blackmailing, pressure and terrifying. If today Pakistan stops funding money to Hurriyat then their existence will come to an end within a few days because people are not giving any money to Hurriyat. However, some parties take money from some businessman using pressure and blackmailing tactics. Then such type of help cannot be called charity or aid but is a bribe in hooligan’s words. Many people say that only 2 to 3 districts observe strike on Hurriyat call. We are ready to agree it but it has two reasons one is that shopkeepers at Lal Chowk shutdown their shops by fearing of damage by stone pelters. But there is no strike in other parts of Srinagar like Rajbagh, Batamaloo, Karannagar, and Delegates Sonawar. If there is complete shutdown in any area then there is also a reason that there will be a big incident. 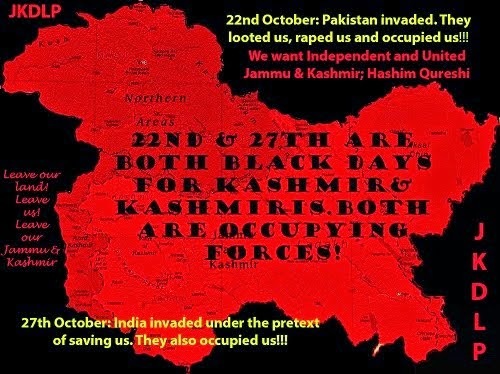 The second reason is that the Indian Security Forces and State Forces are oppressing Kashmir’s for the past 27 years and people do not want to show that they do not supporting Hurriyat call and are not against government. And Hurriyat exploits this weakness of people and their leaders are assured that people will abide the strike on their appeal. So this way Hurriyat is alive like a patient in ICU. The compulsion of people, oppression of India, support of Pakistan and funding kept Hurriyat alive. In such a way India continues to help the people by the support of mainstream parties legally or illegally and in the same way the establishment and agencies of Pakistan are supporting Hurriyat leaders legally or illegally e.g you can guess this by that the 23 parties or groups present in the Hurriyat of Gillani, the same 23 parties or groups are also present in Mirwaiz’s Hurriyat, but unity is exists only among three persons (Gillani, Mirwaiz, Yasin). But the people of Kashmir (whom the politicians think as sheep and goats) never hold the collars of Hurriyat and not the sponsor of ISI and Pakistani establishment tried to unite them. Perhaps they fear that if one group of Hurriyat agree with Delhi then one more group will replace that. However this is not a secret thing that some groups of Hurriyat including Yasin Malik and some small parties received money in lakhs from Pakistan directly or indirectly for their expenditure. However money also comes for the martyrs or injured person during the ongoing movement. Gillani and Mirwaiz provide funds for the smaller groups for their expenditure. This is not a secret that how many martyrs, orphans, widows are being helped? How many children of martyrs have been given seats of doctors or engineers? This is not a secret that Hashim Qureshi needs to expose. State people know that instead of orphan’s seats of doctor or engineer were being given to the sons of Government (establishment) officers and police officers in the name of orphans. Few days ago one leader of Hurriyat exposed Hurriyat leaders in a sting operation by ‘India Today’ in which everything such as dignity of people, intellectuals and politicians , families of martyrs, dream of orphans and proud of widows vanished. He exposed that the money is used for the purpose of stone pelting, burning of schools, by this not only people but humanity felt ashamed. I wrote an article about burning of school which was published in daily Chattan, Uqab, and Ghadhiyal in which I wrote that Prophet (PBUH) says that everyone should study and also said that if they have to take journey to China for education then they must go. The so-called leadership shows the dream of freedom but they want merger with Pakistan. This is first deception. The claimers of leadership, who publish everything in newspaper, one leader of this leadership announced that the money we received from Pakistan is being used in stone pelting and burning of schools. It means they oppose the saying of Prophet (PBUH) and order of Allah. They burn those schools in which children of poor and low earned people are studying. Is this the plan of Hurriyat that the generation of Kashmir’s will get exploited by burning of schools and keeping them illiterate? Gun and stones would be given in their hands so that they and our children will exploit the children of poor and common people. While as their children are studying in universities or colleges of Delhi, Islamabad, London and America. They also setup business for their children from the money they receive on martyr’s body and for orphans and widows? Now People of Kashmir have to search for answers of some questions. The first question is that the leaders who were in sting operation said that they were implicated and Gillani issues statement that the Indian Media is maligning our movement. Well said, we are ready to accept both but the question is that from whose mouth this revelations come out and what is he saying and why his membership was terminated from Hurriyat? But the truth is on its place and we cannot change the truth. And Gillani also expelled their Hurriyat leader. Question is that people of this state should ask and think that can such Hurriyat drive the freedom or merger with Pakistan as its goal? It is to remember that there are few armed groups which are not more that 200 who are victims of ideological confusion, can they give freedom to Kashmiri people from the oppression of India by 200 guns? When 94000 guns cannot achieve this goal, then how can 200 guns achieve it? In reality these groups were established by Pakistan, its administration and also Hurriyat leaders to create fear psychosis among the people. Here no one is allowed to speak the truth or to discuss anything. So what is the difference between Indian oppression and yours? The one who speak the truth are declared as agents or even killed. The people of the world cannot help us due to recent disclosures. India reached International court for Kulbhushan Jadav, our lakhs of people have been killed but have we asked Pakistan about it? Why you have not approached International court for the oppression, killings and imprisonment or why you have not raised our concerns with the support of 4 countries at UN? Is Hurriyat having an answer for this? My question is to those people who are betraying our generation. Should we take revenge in the name of freedom from the businessmen? Those who burn schools cannot achieve freedom and do not have right of leadership. Freedom means light. Freedom means to: develop the country, spread intelligence and spread education. By establishing school and universities we can spread the light and not by burning it. Two security functionaries from a private security firm attached to J&K Bank and five personnel of local Kashmiri police post have been murdered by militants. According to the commands of the Holy Prophet which I fully endorse it is tantamount to killing humanity. They were returning after depositing cash and thus performing their duty. They were actually travelling. One of the murdered policemen was father of six kids. A murdered sub-inspector who was to retire within two months was a God-fearing man dutifully observing prayers and fasting. Another murdered policeman was the sole caretaker of his father a cancer patient. Fighters of Islamic war and founders of Caliphate aver that they killed five policemen but not the bank employees. All of them were butchered in one van. Do the Hizbul Mujahedeen activists think that Kashmiris are so naive not to understand their all lies? All I can say is that these gun wielders will meet the same fate that befell those who had taken up the gun in 1990. The nation is undergoing great suffering for last 27 years. A few days prior to these killings a grenade blast in Khanyar vicinity claimed the life of a citizen. A driver was killed by stone throwing. All of them were Kashmiris. The day is not far off when civil war will break out here and human blood will spill in streets and lanes. People are very angry on these murders. It is a different thing that people do not come out on the streets in protest of these killings owing either to threat or under the impression that freedom movement should not be damaged. I must make the prediction that if J&K police are driven to the wall, in that case even non-violent movement will become difficult. We know that some black sheep within the police force are defaming the organization. I would like to reiterate that Kashmir issue cannot be solved by resorting to violence from any party. Tension has escalated on Indo-Pak border and the two troops are attacking each other’s posts and killing soldiers. It could well escalate to war between them. An action performed in state of anger can spark the flames of war. Pakistan cannot capture Kashmir by extending support to militants or by sending cross border infiltrators to attack military camps or by attacking a specific target. Indian security forces cannot find a solution of Kashmir issue by showing vengeance against Kashmiris. In a prospect of Indo-Pak war, hundreds of thousands of people on either side will be killed, hundreds of thousands will become disabled and economically both the countries will get destroyed to the extent that recovery may take decades or centuries. Therefore to escape the calamity of destruction the two countries should begin talks without loss of time. Two political parties PDP and BJP have the mandate of the people of two regions of the State. Formation of coalition government is genuine. It could have become the instrument of bringing the people of the two regions namely Jammu and valley closer. Government of India says that out of the package of 80000 crore rupees it has so far during the past one year and more released nearly 20,000 crore rupees to the State. This is not a small sum in one year. Where has this huge sum of twenty thousand crore rupees gone? Was any mega power generation plant established? 90 per cent roads of the State are all potholes and worn out unworthy of being called a metalled road. Big water bodies have become cesspools and burial ground for dead animals. One may have a look at Wular or Dal or Manasbal lakes and see for oneself their pitiable and lamentable condition. Tourism has been given in the charge of a notoriously corrupt person and the entire industry is almost on the verge of collapse. Protesting students are made targets of police batons, bullets, pallet guns, and tear gas shells. By involving innocent students among stone throwers the black sheep among the police have devised a source of extra income for themselves. Many corrupt officers have been given plum post just because they can manoeuvre it through personal favours and clout. Millions of rupees are embezzled under one pretext or the other like development, education reforms, providing facilities to the people, support to medical treatment all fake and shady. On the ground there is no trace of any development. State exchequer is used not for providing facilities to the people but for suppressing them and for providing munificence to the party workers and corrupt officers. The irony is that the ministers elected from Jammu region have confined their activities to Jammu region alone. The coalition government is not trying to bring people of different faiths and religions closer and actually it distances them from one another. Extremism is promoting unemployment. The government does not give Utilization Certificate of any centrally sponsored project. Orders of High Court are either not implemented or implemented only half heartedly. Senior bureaucrats when called by the High Court for deposing in court cases submit ambiguous and misleading reports. Thousands of vacancies are left unfilled. Accountability organizations are made toothless. An atmosphere of threat prevails everywhere in the valley and police think that only bullets and pallet gun can set things right. By allowing baton and PSA and bullet to be free the state is fast heading towards decline in all walks of life. Opposition plays very negative role. It is said that Congress and NC have inducted all their means in the phenomenon of stone throwing and fomenting of unrest. These two parties have always treated the people of the state nothing short of cattle stock and imposed tyrannical laws on the people. These members of Congress and National Conference are the people who instead of providing water, electricity and jobs to the people forced them into black holes of poverty, destitution and darkness. 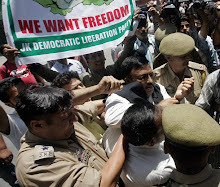 In 2010 their coalition was responsible for the killing of 127 youth on the streets of Srinagar For six long months the state became the place of butchery and loot and arson at the hands of these party workers. Today they shamelessly call stone throwers as the soldiers of freedom. They are asking for solving Kashmir issue. But Kashmiri nation can ask them what role they played when they were in power. They should not forget what oppression they exerted on the people and now they are seeking power to revive their policy of suppression and oppression of the people. Let me recount what were the gifts of Congress-NC regime for the people of the State. 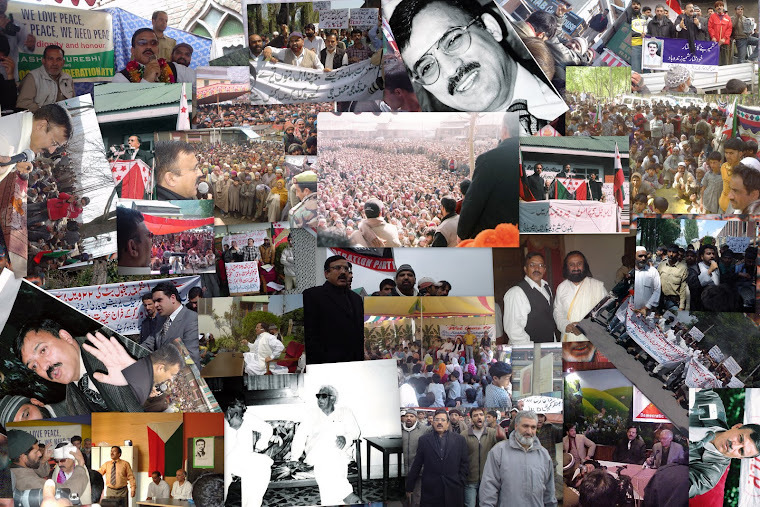 These were framing black rules of oppression and tyranny, spreading unemployment, nepotism and bribery, illegally grabbing state lands and grasslands and converting these as private estates, destroying educational institutes, facilitating bribery and corruption, torturing the innocent in prisons, deploying incompetent persons in different departments instead of competent persons, destroying the Dal and the Wular lakes, taking resort to load shedding instead of making use of enormous power generating potential of the state, discouraging industries and pushing the state to darkness, and making it a consumer state. Main stream political parties also have a role in this huge saga of devastation. They lick the feet of Delhi rulers an activity in which they vie with one another. We would sincerely suggest India and Pakistan to settle their differences including Kashmir issue through dialogue. Oppression has no eyes. People on both sides of Kashmir should also have the freedom of meeting with one another within the State. All violent activities happening on the border should be stopped. But if both the countries have lost common sense then they may go for war. Let both of them take the step of destroying all the people of the sub continent in one go instead of killing and massacring young and old on both sides of the dividing line in intermittent violent actions. Go in for an outright war and emerge vanquished or victorious whatever the case once for all. Let the people of the subcontinent live or die once and not time and again. Instead of humiliating people in the name of democracy, instead of pouring all the funds in the pockets of political leaders Governor’s rule should be imposed for the purpose of development and progress. Why political parties be pampered in the name of democracy when they do not deserve it. Talks should be resumed with Pakistan. Interface between the people of the state should be initiated. By imposing Governor’s rule at least corruption has to be halted and funds have to be utilized for constructive and developmental works. People of the State have seen worst type of suppression and loot in the name of so-called democracy. This was the scenario in the past and it is the scenario now. There is turmoil all over the world today. People get killed in large numbers and cities and towns suffer destruction. Killing of children and woman shows that human values have sunk to nadir. Muslims are in a predicament. Usually we bring allegation against the Jews or Americans or Russians or the western countries that they conspire to destroy one or the other Muslim country. If it is so then why steps are not taken to neutralize their conspiracies? How come 150 thousand million Muslims cannot contain a small country like Israel with a tiny population of 65 lakhs? Muslims can do no harm to them because the Israelis are united and staunchly patriotic. Muslims joined hands with the Americans and brought about the destruction of Iraq and the Middle East. Arab countries came together and created terrorist organization in Libya and Syria which projected Islam as a “terrorist and violent religion” in the whole world. Gulf war not only made millions homeless but forced millions more Muslims, including their women, to become destitute across the ocean on the streets of the towns of western countries. Neighbouring countries in the Gulf like Saudi Arabia shut their doors on the fleeing Muslim refugees. Islam teaches that “if a Muslim is in trouble in the East, the Muslim in the West should feel his pain.” We Muslims have become victims of a diseased mentality. Western countries that gave shelter to fleeing Muslims were made targets of worst kind of terrorism. Thousands including children and women were basted in Paris for no fault of theirs. Recently terrorist attacks were made in Belgium, Germany, Spain and Turkey only to defame Islamic religion. Saudi Arabia forged a military alliance of some Arab countries that undertook the mission of destroying Yemen. Recently, Saudi airplanes targeted a condolence gathering in Yemen and killed 150 mourners. Some among Muslims consider Saudi Arabia as the leader of the Ummah. How amusing that despite possessing major economic resource and comprising second largest population in the world, Muslims are bent upon killing and decimating one another like animals and brutes. Since many years Afghanistan has been accusing Pakistan of exporting terror to that country and providing arms and ammunition to the terrorists. The fact is that from a small terrorist group to as big a terrorist as Osama bin Laden, it is Pakistan that is providing safe haven to them. This necessitated Pakistan army to fight against its own people in tribal areas. People were butchered in thousands. Tehreek Taliban goons also slit throats of hundreds of Pakistani soldiers and struck at Pakistan’s mosques, imam barhas, schools, bazaars and Pakistani Generals and Brigadiers, too, became the victims of the bullets of TTP. After Pakistani Taliban attack on school children in Peshawar, Pakistani army launched massive military operation against Pukhtoons of PK pressing F-16 and Drones into service that killed thousands of Pukhtoons in the war-torn area. Their towns and villages were turned into rubble. And yet Pakistani rulers continue to categorize the terrorists into good and bad terrorists. Those who work in the interests of Pakistan are good terrorists and those who do not work for them are bad terrorists. This definition was forged after the emergence of terrorism, and Pakistan holds it by teeth. In Afghan war against the Soviets, Pakistan put at stake her own security. Pakistan provided shelter to lakhs of Afghan refugees and western countries including some Arab countries extended support to them. Yet today Afghans are not friendly to Pakistan. Why Afghanistan refuses to recognize the 1500 kilometres long Durand Line as the border between Afghanistan and Pakistan although it was recognized when Daud Khan was the President of Afghanistan. Afghanistan claims its border with Pakistan at Attack. Some people consider China a friend of Pakistan. China is an atheist country and does not recognize the God of any faith. Xinjiang in China is a Muslim dominated region where anti-China movement is going on and it has been declared a terrorist movement. Uighurs from Xinjiang was receiving training in terrorism in Pakistani terrorist training camps. China reprimanded Pakistan for this and imposed ban on fasting by government functionaries during Ramadhan month. China is working on CPEC project. The corridor helps China extend trade to Gwadar seaport in Baluchistan besides giving her overland access to the Middle East. However the corridor is not bringing any benefit to the people of Gilgit and Baltistan, rather it is going to spoil the ecology of that region. It will adversely impact the glaciers in the region and this is the reason why the local population is opposing CPEC. Today international scenario is one that makes the world community call “Islam a terrorist religion.” Muslims are engaged in killing Muslims. Through media we come to know how Muslim countries want to win a victory over other Muslim countries by butchering their own people. Have any of these Muslim countries extended any help to Kashmir’s during past thirty years of turmoil in Kashmir? No. Lip service is one thing and concrete help is another thing. At the best some countries say that they are with the stand taken by Pakistan. But what is Pakistan’s stand on Kashmir especially when she has illegally occupied a large chunk of Kashmir territory and cut it into pieces. Pakistan calls Kashmir its life line and the government of Azad Kashmir requires government functionaries to adhere to the stand of Kashmir’s accession to Pakistan if they want to retain their service in the government. Anybody fighting election in Azad Kashmir and aspiring to become a minister has to confirm his loyalty to accession to Pakistan. Even judges of High Court in AJK are required to be the subscribers of the policy of Kashmir’s accession to Pakistan. In my view, accession to Pakistan is tantamount to accepting Pakistan’s yoke of slavery. About a hundred of Kashmiris have died in the on-going turmoil. Hundreds have been blind and wounded by pallet guns, tear gas shells and other lethal weapons. Not one of them is the son or ward of a politician, bureaucrat, doctor, engineer or professor or a business magnate. The victims are the sons and wards of poor daily wagers and petty shopkeepers for whom nobody cares. For last 26 years nobody has taken care of a large number of orphans, widows and the destitute. There is no plan of their rehabilitation. This is the treatment meted out to the families of those who are asked to come out on streets and make sacrifices of their lives or limbs. 1. Pakistan and Iran has reserved some seats for the wards of Kashmir martyrs in various professional colleges like Medical and Engineering Colleges. We want to know whether Hurriyat has recommended admission against these reserved seats in any professional college in Pakistan for the wards of the martyred Kashmir’s. 2. How many women widowed during the freedom struggle have been extended support for remarriage by the Hurriyat or provided them with support for sustenance. 3. How many educational institutes have been raised by the Hurriyat where the wards of our martyrs would receive education and how many children have been provided financial support to continue their education? Everywhere in the world communities have raised institutions to help the kids of martyrs to receive education in them. Ours is an exception. 4. How many wounded people have been provided support by the Hurriyat as long as they were in the hospital and were receiving treatment there? 5. How many kith of martyred youth have been provided source of sustenance or financial support on monthly basis. 6 Kith and kin of most of the martyred youth received support and sustenance from the government and the Hurriyat provided them only copies of holy Quran. 7. Did anybody take care of the imprisoned and did anybody take the trouble of obtaining their release through simple ways. 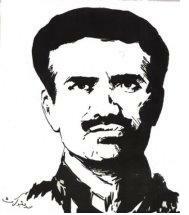 8 Why was not martyred Afzal Guru given legal support as was the case of S.R. Geelani? Afzal Guru had complained about it in his last interview. 9. Is it not a fact that Hurriyat split into three groups which wee indulging in in-fighting? 10 Did Hurriyat propose any long term programme for Kashmiris to reach the goal except calls for strikes? 11. Isn’t our struggle confined to events and incidents only? In 2008 appeared the mass movement in the backdrop of Amarnath agitation. 2010 happened owing to the martyrdom of Wamiq Farooq andTufail Mattoo. The movement emerging in 2016 in the aftermath of killing of Burhan Wani ended up in stone throwing, strikes, waving of Pakistani and ISIS flags. What else did Hurriyat give to this nation? 12. Has any civilized nation worked for closure of educational institutes and abandoned their homes to darkness banishing light. Can our students compete on international level after saying good bye to education? Are you not walking on the footsteps of Taliban in the matter of education? 13 Has Hurriyat ever thought that continued strikes in Kashmir do not have any impact on the economy of India especially when Kashmir imports everything from a hair pin to a bulldozer and from poultry to vegetables from India? 14. Is it not a fact that by indulging in stone throwing and breaking private vehicles, their windscreens and windows etc. the fresh materials or repairing material again comes from India? Whose loss is it — of Kashmir is or of Indians? 15. Have not calls for long strikes shattered the life and source of income of street vendors and daily wagers and have not they been reduced to a state of penury? 16. Are not the owners of matadors, mini buses, and sumo taxi and auto rickshaws groaning under the heavy burden of bank interest on the loans they have taken to buy the vehicles and earn two square meals for their families? Have they any knowledge about the hoteliers and house boot owners who are under the burden of bank loans. 17. By waving the flags of ISIS, Lashkar and Jaish-e-Muhammad have not we projected our present movement as a terrorist movement on international plat form? 18. By waving Pakistani flags have we not proved to the world that the hand of Pakistan is behind this movement? 19 Gandhi ji’s movement against the British rulers turned violent in Calcutta where in an attack on a police station some policemen were burnt alive. Gandhi ji withdrew the movement saying he was leading a non-violent movement in India. Against this, our activists have attacked police stations, snatched rifles from policemen and given the movement the colour of a violent movement? 20. Will not the present Intifada be adversely affected by indulging in violence in the course of the movement? 21. Will 200 militants succeed in throwing out 7 lakh Indian force in Kashmir to make Pakistan? The on-going movement does not need militancy but non-violence. Peaceful movement will not give any justification to our oppressor to decimate our generation and the world will listen to us? 22. By leaving entire Jammu and Kashmir and focusing this movement only on Kashmir valley what we are actually doing is that out of a total area of 84771 square miles of the State we have confined ourselves to just 8,000 square miles of the valley for 80 lakh people. A glance on the map of J&K which show us that we are concentrating only on a small point in this map? 23. Have not mainstream parties’ added fuel to fire by striving to obtain self interests from this movement and thus given fillip to terrorism? 24. What other option do we have except that of talking to the Indian Government? If the MPs of India come to our doorsteps to talk to us should we not talk to them and tell them about the oppression let loose by the security forces and put our stand before them. By declining to talk to Indian parliamentarians have we not given an opportunity to the Indians to propagate in the world that we Kashmiris do not believe in dialogue? By this attitude have we not silenced the voice of those in the Indian Parliament who would speak out our woes to the Indian parliament and the Indian civil society? 25. In past 27 years, did we ever gone to Pandits, talked to them, owned them and helped them in their rehabilitation in Kashmir? Handlers of this movement shall have to answer these questions today or tomorrow. Has not the slogan mongering of Hafiz Saeed and Salah-ud-Din and Nawaz Sharif in Pakistan given our movement religious and pro-Pakistani colour? How then are we justified to accuse the international community that their conscience is not pricked by all the oppression unleashed against us including the use of pallet gun that blinds the people outright? Today entire world is pitted against terrorism. Islamic countries are uniting to destroy terrorist bases. If they declare their support to you as you expect them to do, what face will they show to their own people? The leaders of movement have to ensure that in the course of the struggle their gains are more and the losses of the enemy are also greater. What have we gained except destroying our people, undermining our economy and turning our educational institutions into ruins? By forcing the security forces to destroy the EDI building, actually great damage has been done to the youth of Kashmir who were to learn skills in it and then support their lives and income. It was a channel of earning a livelihood for Kashmiri youth. In a prospect of India quitting Kashmir these structures and institutions would have served our student generations. These would have been our public property. Can anybody explain to me what benefit it brings to destroy these institutions? Why our people cannot distinguish between suicide and freedom struggle? Our civil society, our intellectuals, our religious leaders and our student community should stop giving an impression that we are carrying forward the agenda of terrorism and violence? I am raising these questions because I feel the pain of ordinary people. I have seen a life of poverty and hunger; I have earned bread through hard labour and I cannot help raising these questions again and again. I have been castigated and poison was spread against me. But I have stuck to the great lesson of truth and care for the people at large taught to us by our Master, the holy Prophet (PBUH). I know that in this world of falsehood, truth and those who speak the truth both had to suffer maximum agony and torment. Burn me alive, cut me into pieces, disseminate poisonous propaganda against me and killme by administering hemlock, I will not deviate from the path shown by Husain bin Ali. I will never leave the path of truth. Hashim Qureshi is chairman of: JK Democratic Liberation Party.